The final registration process for appearing for the entrance exam for admission to the All India Institute of Medical Science (AIIMS) has started today, February 6, 2019. 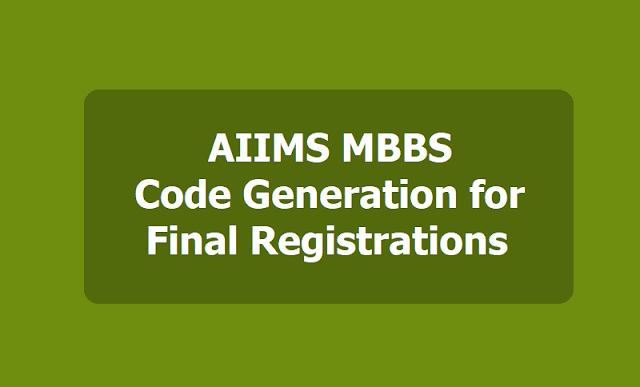 The basic registration process has closed and now the accepted candidates can apply for final registration through the official website - aiimsexams.org. According to the official notification, the online registration process will close at 5 pm on February 17 (Sunday). Candidates will have to generate a code to apply for the final registration and only those candidates whose application is accepted in the basic registration (including uploading of correct images), would be eligible to complete other processes. Candidate will have to submit the application fee and select the city of choice for the exam centre. After completing the processes candidate will be eligible to release the admit card for AIIMS MBBS-2019. Step 1: Visit the official site of AIIMS at aiimsexams.org. Step 2: Click on Academic Courses link available on the home page. Step 3: A new page will open where candidates will have to click on ‘Proceed for Prospective Applicants Advanced Registration (PAAR)’. Step 4: Click on the undergraduate course on the new page. Step 5: Generate code for the exam you are applying for. Step 6: You will get the code on your registered email id and mobile number if your application is accepted. Step 7: Make the payment and choose the exam center city. The final registration process will commence from February 21 to March 12, 2019, for eligible candidates after they get the code. The AIIMS MBBS 2019 examination will be conducted on May 25 & 26, 2019 across various centers in the country. Candidates can check for more information from the official site of AIIMS.